A fairly easy arrangement of this lovely 16thC German folk tune. 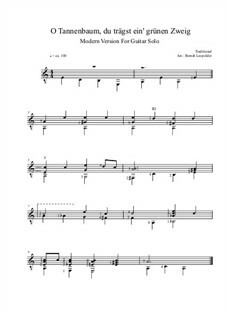 There are multi rests in several parts, some bars of arpeggios in the alto met and broken chords on the bass xyl. 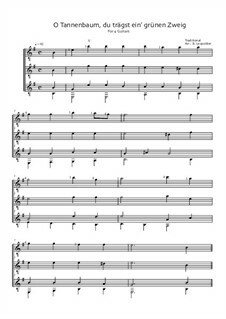 All parts except for woodblocks play some or all of the melody. a much loved Christmas Carol. Have fun! 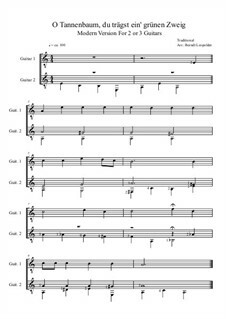 Instrumentation: Soprano Glockenspiel, Alto Glockenspiel, Soprano Xylophone, Alto Xylophone, Alto Metallophone, Bass Xylophone, Wood block. This is a setting of the traditional German Carol for SSA chorus, children's voices or female choir. 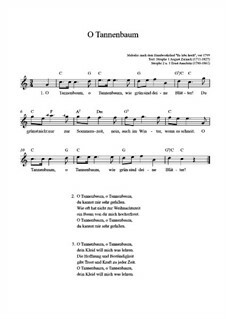 Both the original German language is included along with easy lyrics in English. 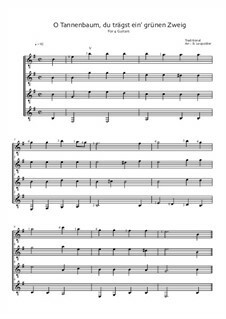 The style is rather new, barbershop style with different harmonies in a more recent harmonic idiom. The setting is for 3 verses (3 minutes) but can be concluded after the second verse to shorten the length if desired. 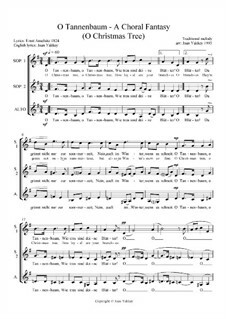 The present setting is for a cappella chorus. 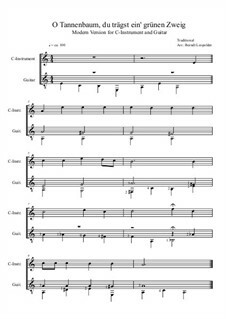 Any trio of wind instruments and a three-voiced chorus can be performed. Wie gründ sind deine Blätter! 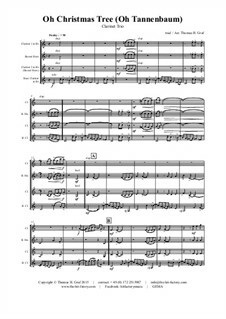 Full score, parts Arranged by Johnson Y. 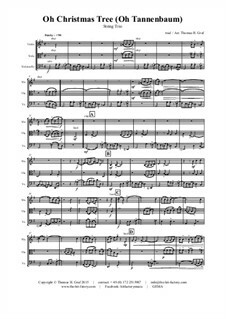 For voices Arranged by Minoia D.
For clarinet quintet Arranged by Graf T.H. 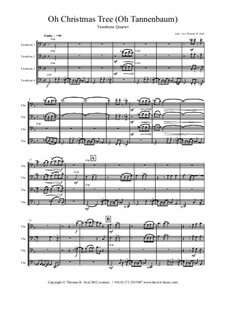 For clarinet trio Arranged by Graf T.H. 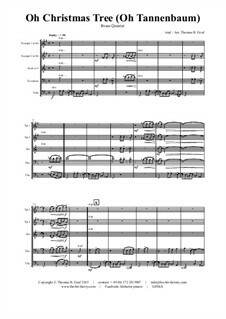 For saxophone quintet Arranged by Graf T.H. 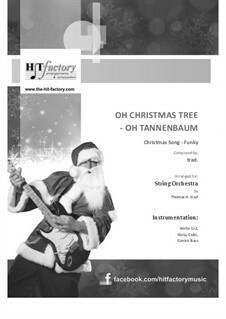 For saxophone trio Arranged by Graf T.H. 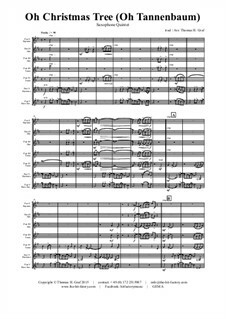 For string quartet Arranged by Graf T.H. 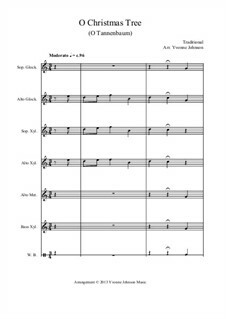 For SSA voices Arranged by Yakkey J. 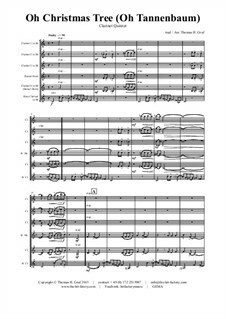 For wind ensemble Arranged by Makhorina M.
For four guitars Arranged by Leopolder B. For three guitars Arranged by Leopolder B. 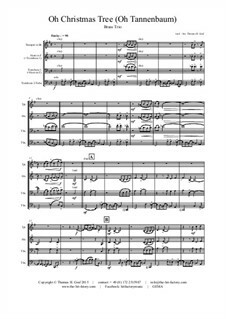 For two oboes and guitar Arranged by Leopolder B. 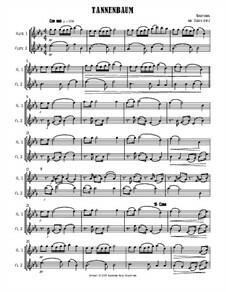 For two flutes and guitar Arranged by Leopolder B. 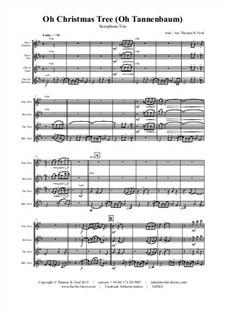 For two violins and guitar Arranged by Leopolder B. 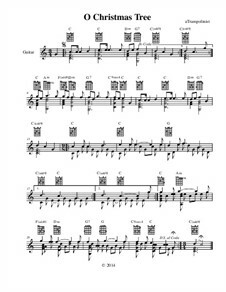 For guitar solo (modern version) a minor Arranged by Leopolder B. 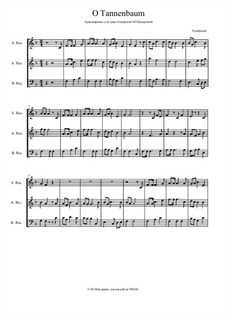 For two or three guitars (modern version) a minor Arranged by Leopolder B. 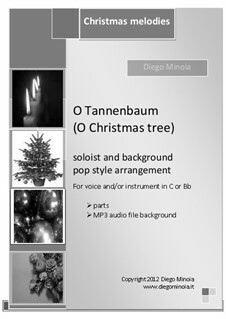 For C-instrument and guitar (modern version) a minor Arranged by Leopolder B. 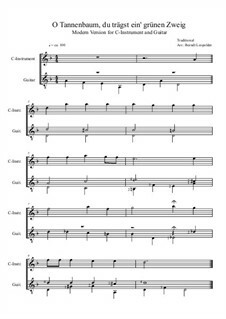 For C-instrument and guitar (modern version) d minor Arranged by Leopolder B. For two guitars (modern version) d minor Arranged by Leopolder B. 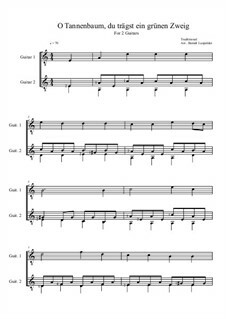 For two guitars (a minor) Arranged by Leopolder B.